a method of maintaining muscle strength and tone by alternately contracting and relaxing a skeletal muscle or group of skeletal muscles without moving the associated body part. 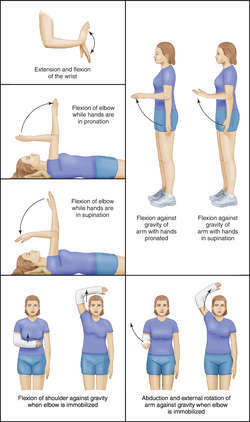 Such activity is useful in preventing atrophy of the muscles, especially in patients with conditions involving the joints. See also isometric exercise.